In 2002, Kiwi Camara, a Filipino-American at Harvard Law School, joined most of his classmates in posting his class outlines for the previous year on the school web site. Controversy ensued because some found aspects of Camara's shorthand racially insensitive. In response, school administrators proposed a speech code. 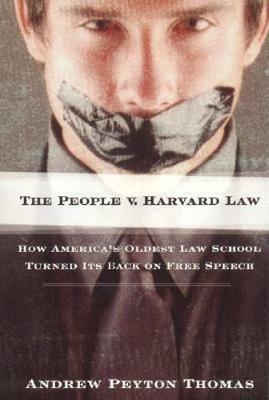 Harvard Law Graduate Andrew Peyton Thomas uses this controversy to take readers inside the administrative offices, faculty lounges, and classrooms of the nation's oldest and most prestigious law school. He finds freedom of speech and basic constitutional liberties clashing with racial demagogues, Marxist-inspired professors, and a smothering orthodoxy that seeks to silence student dissent. Thomas also ventures brilliantly off campus to reveal how what happens at Harvard Law affects the nation whose most powerful institutions are filled with its graduates.